As her people are dying from a mysterious illness, Veleda is sent into the woods by the Druid's High Priestess to search for a cat to sacrifice. Instead, Veleda finds Bast, protector Goddess of Egypt, who comes to her warn her about a great evil. Now, Veleda must fight not only the dark goddess Sekhment, but the ingrained hatred of her people, to try to unite the tribes of Gaul, before Rome crushes them all. I'll freely admit to being quite biased as I explain the main reason I didn't like this book. When it comes to history, I have my favorites, the people whose names I look for in the index at the back of the book. One of those people is Vercingetorix, the man who united the Gallic tribes to try and fight off Julius Caesar. The problem I have with this book is the total lack of Vercingetorix until the last 50 pages of the story. And even then, he's a Roman officer (which I've never read in any of his biographies) who simply responds to Veleda's rallying call. I hate it when an author writes her own character into a legend/historical setting and they somehow become the central figure upon which everything hinges. Admittedly, Veleda was a real person, one whom Tacitus mentions in his histories but, as the author says herself, the real Veleda lived in a later time period, not in the time of Julius Caesar, but in that of Emperor Vespasian. That's almost 100 years difference. If the author wanted to tell Veleda's story, she should have set it in the right time period, instead of trying to shoehorn her into Vercingetorix's lifetime. I love history, and am not real forgiving of people who choose to ignore the facts when they write their stories. Worse, Veleda in history, remained a virgin, and the author continues to butcher the truth of her life by having her give birth to a child. I don't buy the theory, in an ancient or modern context, that a woman is only a real woman after she has given birth. Again, I think it's a weak storyteller who has to ignore the historical facts in order to write her own story. Why would there be Egyptian soldiers in the Roman army? Egypt is an independent country at this point, one that hates Rome at that. Rome was the enemy, even if they were not technically at war. It's just not all that believable from a historical standpoint. Though considering one of these Egyptians ends up in bed with Veleda I guess it's just another instance of the author sacrificing historical accuracy for the sake of her story. Mau the talking cat was ridiculous. Felt too much like Salem from Sabrina the Teenage Witch. Sekhmet's demons also seemed ridiculous, as they weren't very threatening if a small sized cat could deal with them. Bast was, for me, a weird choice of a protector goddess. 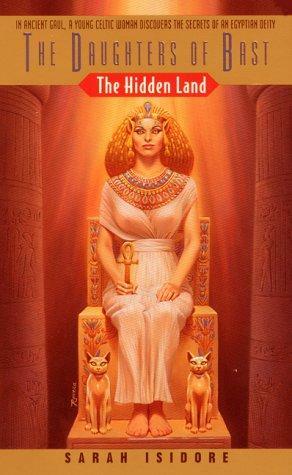 I know she was the Pharaoh's protector, but as Bastet (a later spelling of her name) she was an agent of Ra's vengeance in much the same way as Sekhmet. To me Isis seemed like the more logical choice, especially since her cult was very popular outside of Egypt in the time of the Romans. I didn't like the mention of a "mother goddess" who had once been worshipped in Egypt. I know she's popular in fiction, but there is no real evidence that the Egyptians had a mother god in the same way that say, Greece did with Gaia. In Egyptian mythology it was male gods, like Ra or Ptah, who created the world (different depending on which region in Egypt you visited; different cults promoted different "creator" legends). The term mother goddess should be stricken from all fiction dealing with time periods after the beginning of "civilization". Considering all the Venus statues I can believe that early people worshipped a mother goddess, but after the first cities are established, different pantheons are established. We have the names of these gods, and should use them instead of trying to re-write history in a way we like better. Plus, we have evidence from the earliest cities in Egypt, back to 5000 BCE, of the gods they worshipped. Cities like Nubt worshipped Set, others worshipped Wadjet, Nekhbet, Min, Anubis, Thoth, Re, etc. And then, as theses cities started merging into one country, there gods started merging into a pantheon. On a last note: why did Veleda's people never listen to her? So many times she gave them sound and logical advice, which they ignore with disastrous consequences, and they never learn. This too, probably comes from the fact that the author had boxed herself in by putting Veleda in Vercingetorix's time. Oh well, it's not a terrible read, just not all that engrossing either.